Your house can’t speak to you, but it can give you signs when something´s not quite right with it. Out of all the household appliances, fixtures, and items, a house’s windows are perhaps the most communicative. Windows don´t last forever, but if well-maintained and of superior quality, windows can have a lifespan of two decades or longer. However, there are also many other essential factors that can directly determine the lifespan of windows. For instance, windows in coastal cities tend to age faster than in cities that have favorable weather conditions. If you are looking to improve some key areas of a home, we are pretty certain that you know the importance of considering the return on investment. Of course, replacing the old, worn-out windows in your home is the green thing to do, but does the move also increase the overall value of your home? You bet it does. So, the question arises—how do you know that it is time for you to replace your windows? Here are 4 things to be on the lookout for. Are Your Windows Damaged, Broken, or Warped? Of course, it is completely possible for you to repair a window instead of replacing it. If you have minor window problems, such as requiring new weather-stripping or hardware, it is perhaps better to repair the window than replace it completely. However, if your window sash or frame is damaged, broken, or warped, we truly believe that it is in your best interest to replace it instead of repairing it. The windows may look operable, but they can cause problems and give you headaches in the future. Additionally, you should also check to see if the windows fog up frequently, are drafty, stick when opened or closed, refuse to stay open, etc. These are all tell-tale signs that implore you to replace your windows. Windows provide heat in the winter by letting in sunlight and trapping the heat inside. So if your windows are drafty, you will lose heat in the winter and cool air in the summer. In fact, according to reliable statistics, drafty windows can increase your energy bills by about 10% to 25%! Therefore, if you want to considerably reduce your cooling and heating bills, we would strongly advise you to replace your windows with energy-efficient ones. In fact, having energy-efficient windows can also add to the overall value of your home; this can particularly come in handy when you are considering listing your home for sale. Are You Planning To Give Your Home A Makeover? Windows are undeniably a prominent feature of your home, both functionally and visually. Therefore, if they look worn, your house will suffer from the consequences as well. 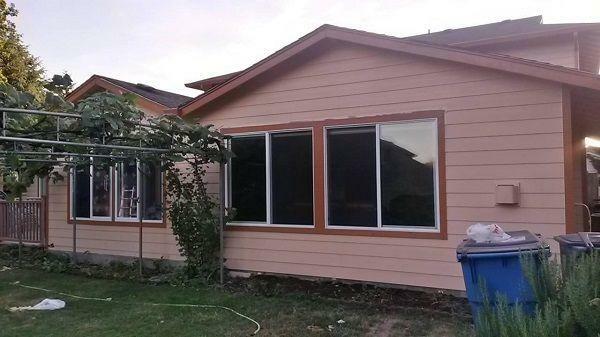 If you want your house to look fabulous, we would recommend that you replace your windows. When checking your windows, you should see if the colors are fading or if the material is warping. 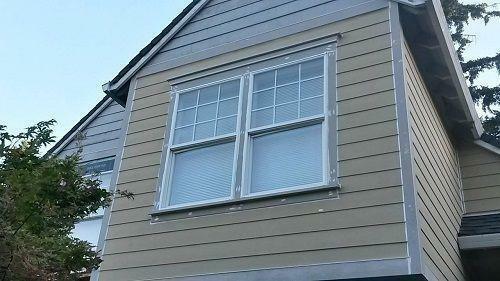 We would also advise you to see whether the old screens or storm windows detract from the curb appeal of your home. After all, the wrong window can drastically ruin the overall appearance of a home and can even cause problems with its structural integrity. When selecting new windows, in addition to opting for superior quality materials, you should also consider the design of the windows. Smart design is pivotal for the longevity of a structure. You should aim to select a window design that creates a pleasant interior and helps improve airflow through your home. You can also consider installing bigger windows to increase the natural light of a room. If you have decided to replace your windows, you will need to hire the right window contractor to get the job done. However, selecting the ideal candidate is easier said than done. There are some factors you need to consider before deciding on your window contractor. If you want to choose the right window contractor, you will need to hire specialists that work with specific window materials. It will also be helpful if your window contractor has liability and worker´s compensation insurance. If the contractor has the proper insurance, the section of the cost of the window and the service given to you is protected by some sort of coverage. We would also strongly recommend you to search for reviews online. You will have a proper idea of how a particular window contractor works by going through unbiased reviews and responses from customers. Replacing your windows is a great way to save money on energy costs while giving your home an upgraded look. A good contractor can guide you to the right windows for your needs and install them properly so you won’t need to worry about leaks or drafts. Take care of your windows and they’ll last for years to come.